Designed for use with the Lastolite HiLite 6'x7' Background the bottletop background covers make the HiLite product range even more versatile. These backgrounds simply stretch over the HiLite and allow the photographer to quickly switch from a hi key to a low or mid key environment and the train means you can shoot full length portrait or product shots. When using the covers the HiLite does not need to be illuminated. 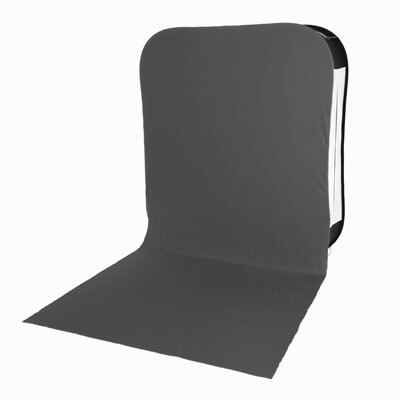 Available in a choice of 2 sizes (5'x7' and 6'x7') and 4 colours Black,Grey,Chromakey Blue and Chromakey Green.